Now supplied with the new upgraded ROUNDED mallet heads. These FULL-SIZE mallets have solid ash handles. The grip end has a hand-crafted octagonal cross-sectioned shaft, which is usually only found on more expensive mallets. Secondly, while other mallets in this price range usually have straight, round shafts (read broom handles), our replacement mallets have the all-important profile that creates a "sweet point", above the hitting head, which is necessary for the satisfactory flexing of the shaft during the shot (notice how the shaft gets thinner after the grip and then thicker just before the hitting head). 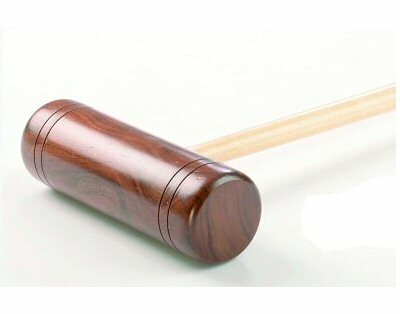 The hitting head is made from hardwood which, again, is usually only found on more expensive mallets. The advantage of hardwood is that it makes the mallet more durable and adds a bit more weight to the mallet, which helps to improve control when making a shot. Having said that, these replacement mallets are certainly not too heavy for children. 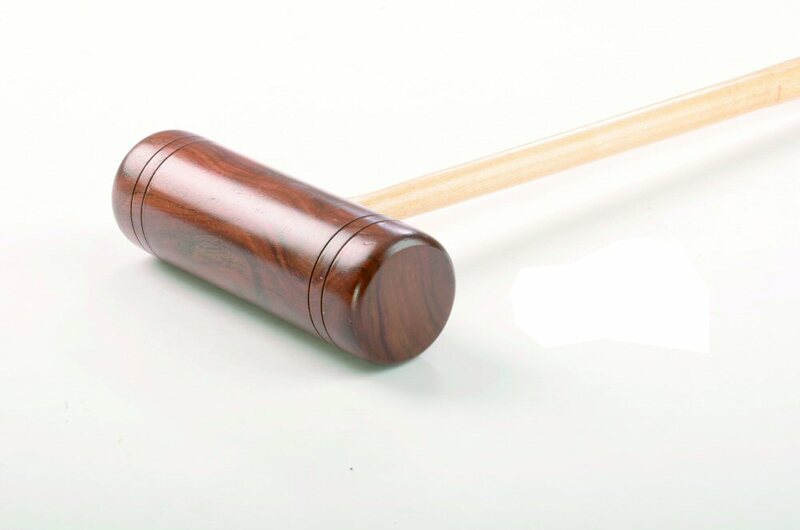 Finally, our Townsend mallets come with a leather grip on the shaft, for added comfort. Croquet mallets are arguably one of the most important parts of a croquet set (along with the balls). Get it right, and you will be able to really feel the shot, enabling you to gain more control and accuracy. Get it wrong, on the other hand, and you will feel like your playing with little more than a broom handle. The trouble is, good replacement croquet mallets are traditionally very expensive. Until now, that is. Our replacement mallet shown here have features you will only find on more expensive versions. All in all, our Townsend replacement mallets represent great value for money, and are ideal if you wish to replace a broken mallet, or add mallets to an existing set, but do not want to pay the sort of prices that you have traditionally been required to pay.